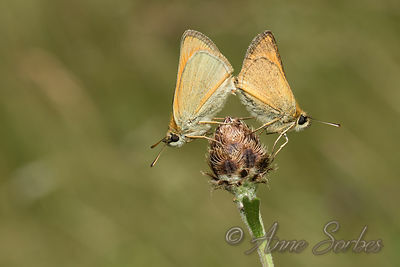 Mating pair of Small Skippers on a knapweed bud in a wet meadow. 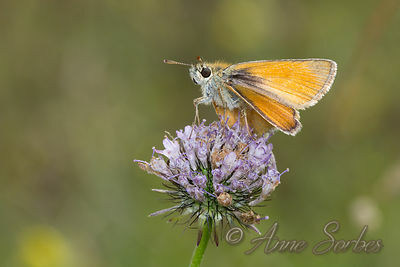 Small Skipper resting on scabious. Ain, France. 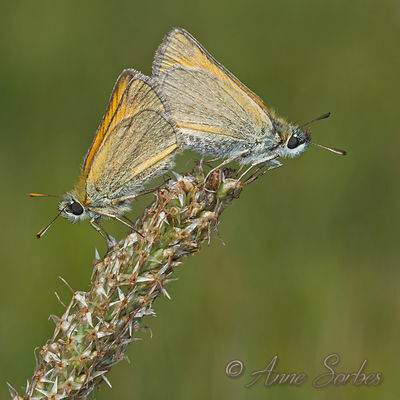 Mating pair of Small Skippers in an alpine meadow. Col de Lachau, Vercors, France.